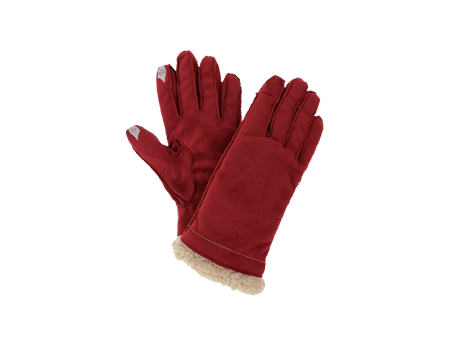 Water-repellent microsuede, lined with luxuriously soft and warm aloe-infused curly fleece. Water-repellent microsuede, lined with luxuriously soft and warm aloe-infused curly fleece. Embroidered conductive thread at symbol touchpoints on palm-side index finger and thumb to activate touchscreen devices.